Time For A Reunion? There's A Place In Town Perfect For It! From the group that is behind the London Curry House is a new restaurant in Whitefield called The Reunion Club. The difference is, they serve non-veg too! Much like the former, they specialise in modern Indian fare, but also serve up some world culture. Set in what used to be River Side, the restaurant is just as pretty, has indoor and outdoor seating for a family crowd or a date night. With an extensive menu, we suggest you stick to their modern Indian fare and pizzas. 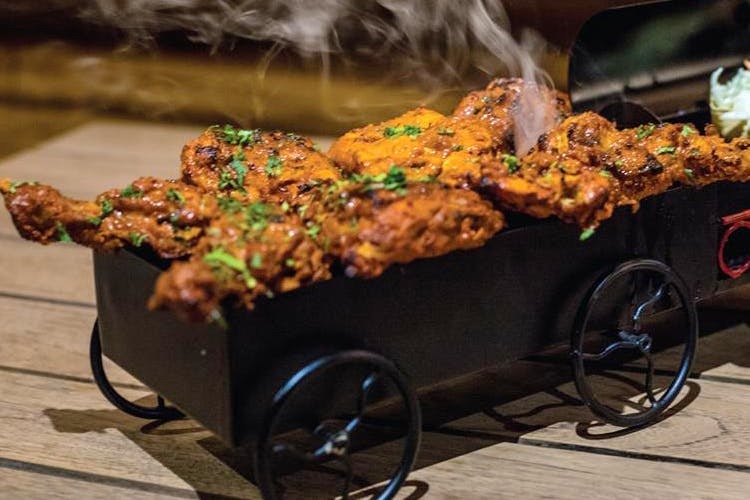 The more adventurous can try the chocolate dahi pani puri or the tandoori peri-peri prawns (we’ve also been told that the mustard fish starter is also memorable). Good old safe players should try the kheema paav, butter chicken, paneer tikka, or the biriyani (that comes in a steam cooker!). Going for the pizza? Their crusts are thin, and toppings are generous. Their pulled tandoori chicken pizza and cheese masala macaroni pizza are the true definition of fusion food and worth a try. For dessert, the pancake lovers is a good option. If you like your desserts sweeter, opt for the mix on fruit custard (or have both, we won't judge). While their a la carte menu is extensive and can can confuse (or frustrate) you if you’re already hangry, then their lunch buffets are a great option especially for those of you that work in and around Whitefield. The restaurant also has a date package, 6 course meal, candlelight, exclusive tables and everything! Speaking of couples, if you don’t have a bae, hit up all your other #singleforlife buddies, old and new, and book yourself a table this friendship day - the bigger the group, the greater the discount! Better clarity in explaining the dish on the menu, because the explanation didn’t give us any more information about what’s in the dish than the name itself.